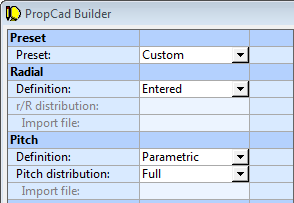 PropCad supports generation of the root fillet between the hub and the propeller blade. 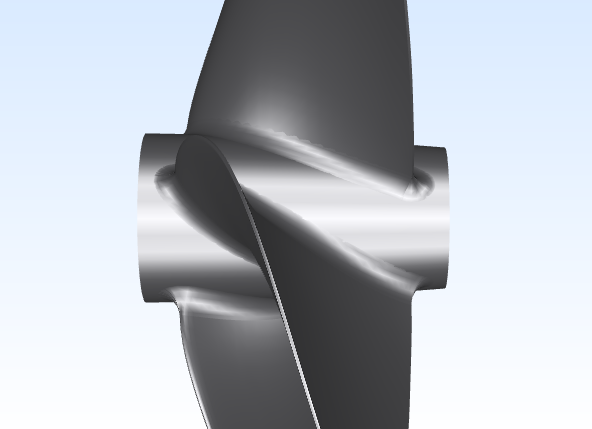 Valid hub and blade geometry. 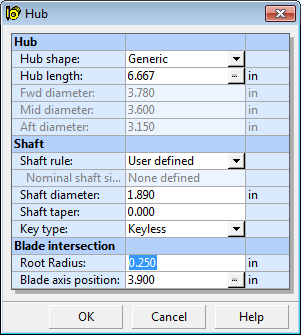 Root radius value (located in Hub Details). r/R section inside the hub.